Laura Esquivel is the award-winning author of Like Water for Chocolate, which has sold over four and a half million copies around the world in 35 languages, The Law of Love, and Between Two Fires. She lives in Mexico City. CLICK HERE FOR MORE STORIES BY LAURA ESQUIVEL. A bit of classic magical realism today. 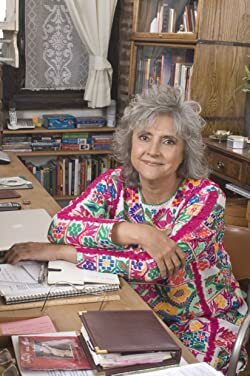 First published in 1989 in installments, Like Water for Chocolate was a bestseller in Laura Esquivel’s native Mexico and subsequently around the world. A popular film version earned the story a place in yet more hearts (if you are tempted to watch it, don’t watch the version with the English voice-over, stick with the Spanish). 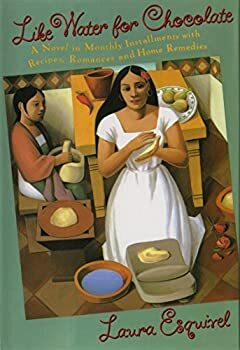 The story is a heady combination of love, passion, family drama, food, recipes, and magic, all set against the backdrop of the Mexican Revolution. Tita is the youngest member of the De La Garza family, destined never to marry but to serve her domineering mother, Mama Elena, until the end of her days. In the face of her mother’s tyranny Tita seeks solace in the family’s cook, the kind and supremely talented Nacha, who passes on her recipes and love of exotic foods.